Pizza is the most diverse, versatile and let’s face it – tasty food. However, pizza has different evolution stages and types globally. This has transformed the way each culture eats, dresses and servers their pizza. 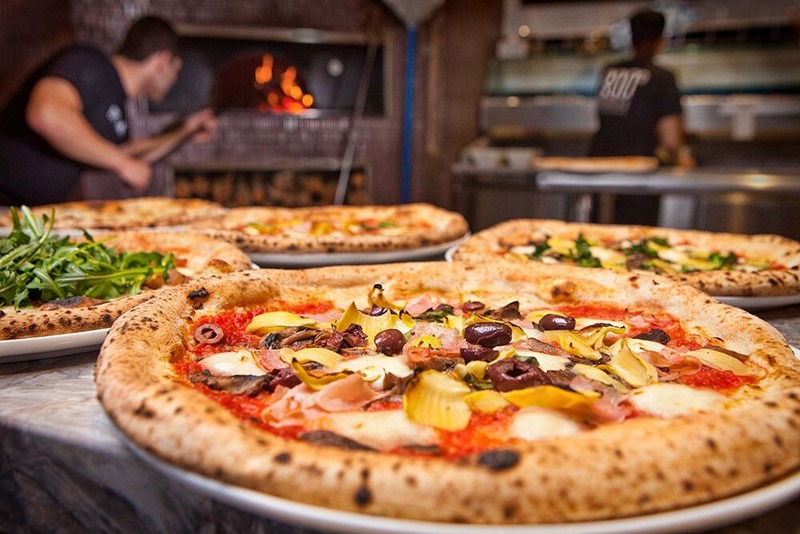 Romeo’s Wood Fired Pizza is Melbourne’s leading mobile pizza catering company. Family owned and operated we have honed our skills over the years, as well as combining impeccable ingredients to create the pizzas for everyone. By catering at events, such as weddings, christenings and even birthdays; we take pride in our wood fired pizza catering services and are equitably priced. With a wide range of pizza options to choose from that vary from vegan options to meat loving specials, we are the pioneers in administering exceptional wood fired pizza catering services. To top it all off, our pizza van is a custom made, one of a kind food van, enclosing a usually external cooking environment to an internal kitchen, ready for any weather, rain, hail or shine. Our pizza van creates a whole new boutique food experience that is unlike any other, bringing a food festival theme and vibe to your door. If you are seeking a leading Food Truck Wedding Melbourne hire service, seek no further! We love Pizza so much here at Romeo’s pizza so throughout this blog we will go on a pizza adventure and discover the main pizzas from each point around the globe. Pizza from the windy city tends to come with a singularly high edge around the perimeter. This is the deep dish variety. It tends to feature large amounts of cheese melted into the sauce with large chunky bits of tomato and rich, dark flavors. You need a towel for this, and you definitely won’t be doing much walking around during your meal, or after. Rich and messy, the chicago style pizza is delicious. It is generally accepted that Italy is the origin of pizza. But historians argue that Rome actually appropriated it from either Egypt or Greece. Whoever did invent it though, had edible plates in mind as the food was eaten first by the soldiers who were not encouraged to do much sitting down. There are generally three types of pizza from Italy; Neopolitan, Sicilian, and Roman pizzas. Neopolitan features big chunks of San Marzano tomatoes and mozzarella cheese. Pizza really went through some major transformations on its way to Asia. Asian pizzas, probably most popular in South Korea and Japan due to their friendly ties to the West, lend a distinctively Asian take on the genre with marinated meat or chicken, rich sauces, and variations with soy sauce, red curry, and other traditional Asian flavors. Our Food truck for wedding Melbourne catering is loaded with fresh and delicious pizzas is what we offer here at Romeo’s Woodfired Pizza. With extensive experience for catering for wedding, we efficiently set up our van and deliver top quality services for all guests. For additional information on how you can book us out and get a taste of excellence, feel free to contact us directly and liaise with a friendly member of staff.